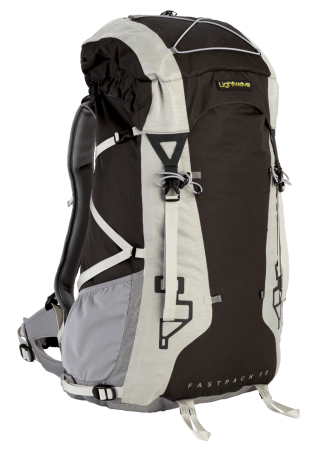 Lightwave’s Fastpack rucksacks are available in 30-litre, 40-litre and 50-litre models. They are comfortable, lightweight and highly water-resistant daysacks that are ideal for winter day trips and lightweight weekend hiking trips. They are exceptionally light – around 1.15 kg – and sturdy, being constructed from mid-weight fabrics. 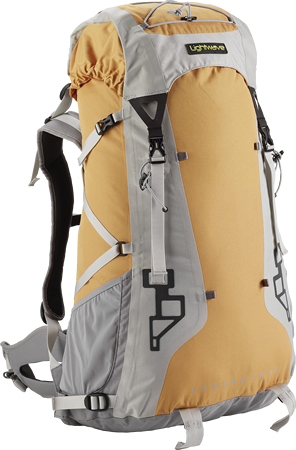 The 40 and 50 litre models have aluminium stays in the back system which allow them to support loads of 9–12 kg comfortably, and the close-fitting design of the back panel ensures good carrying stability. The Fastpack 30 has a HDPE (high density polypropylene) panel to give some support , stiffness and protection to the moulded foam back panel. 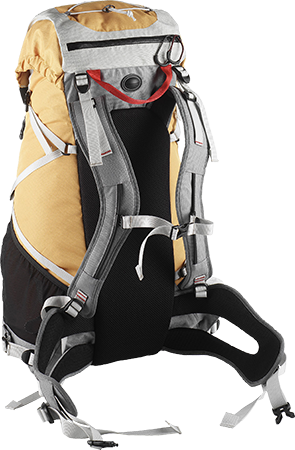 The Fastpack 40 & 50 also have ski-holders at the base of each side that, combined with the side-compression system, can be used to carry skis securely. 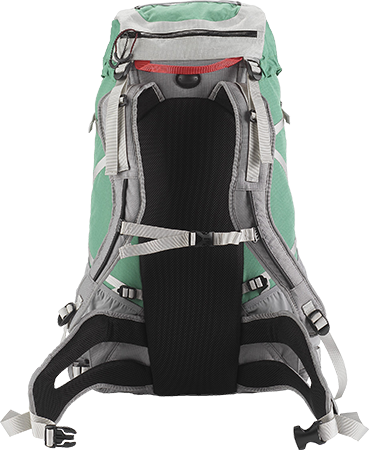 The Fastpack rucksacks use a unisex-sized carrying system with a fixed back length. 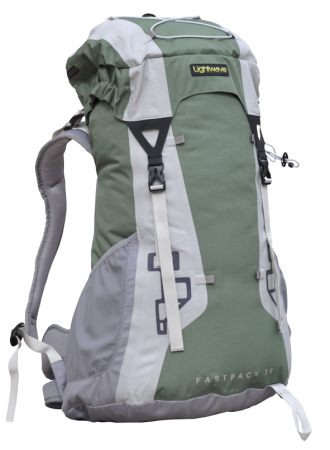 The Fastpack 50 has a longer back (48 cm) than the Fastpacks 30 and 40 (42 cm) and hence will suit taller people. The top-tension straps at the top give some tolerance in the fit. People between 5’9” and 5’10” (175–178 cm) will probably find that both sizes fit them.